Hamentashen. Mohnkuchen. Poppy seeds are a serious ingredient for these traditional pastries. 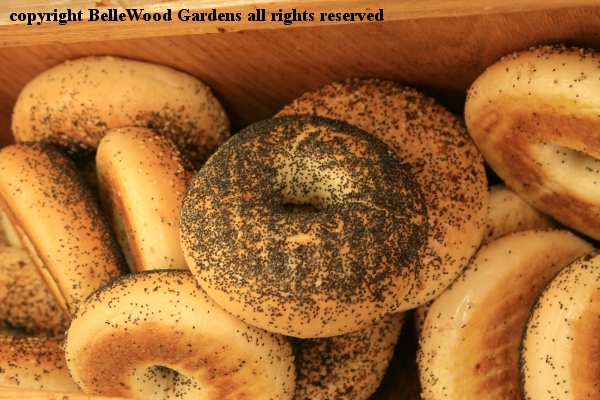 Ordinary kaiser rolls now come with a poppy seed variant, and poppy seed bagels have found their niche. 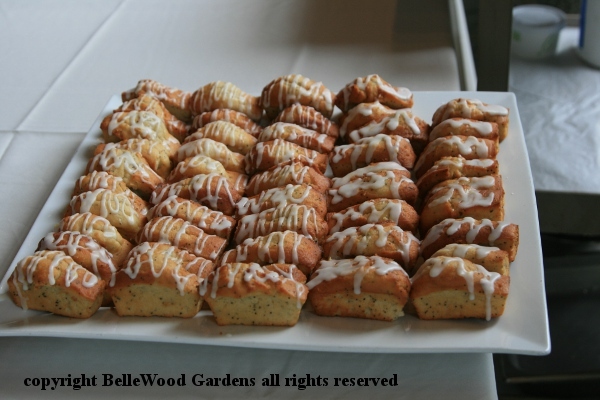 The ever popular lemon poppy seed muffins and cookies and , yes, salad dressing. 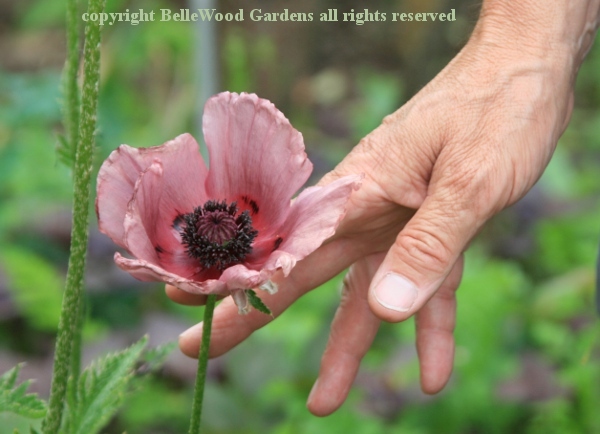 So I marked my calendar when I found out that Wave Hill was going to have a program that included both a guided tour of their gardens to look at poppies, poppy relatives, poppy look-a-likes and also a cooking demonstration of poppy seed recipes (with samples to taste). 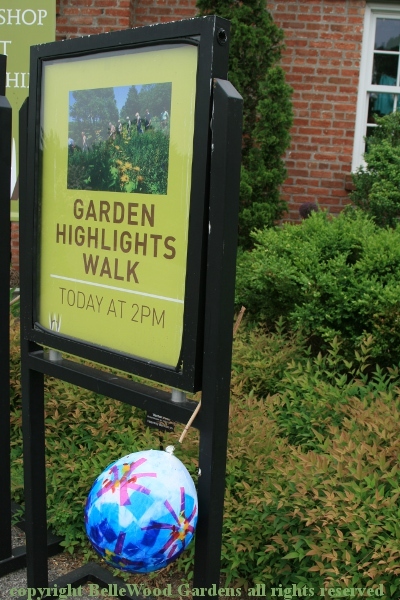 At 2:00 p.m. we gather in front of the visitors center. There are actually two groups standing around. 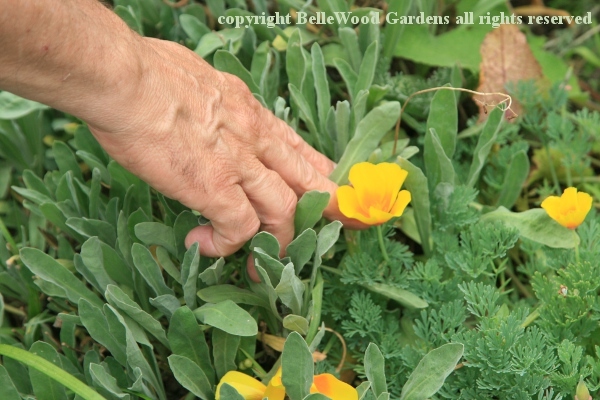 The generalists will tour several of the various gardens. 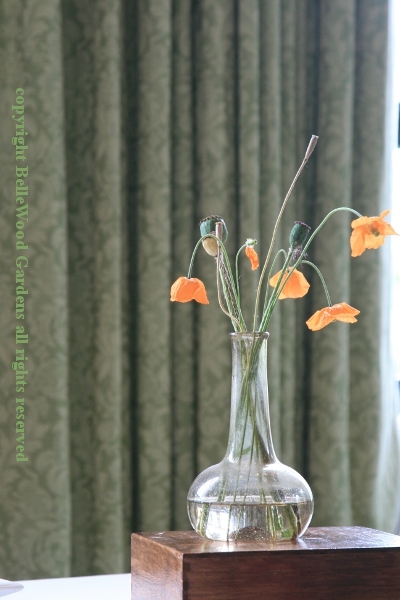 We will tour just two, with a specific focus on poppies. about getting into the thick of things. Our first stop is in the Flower Garden, in front of the conservatory. 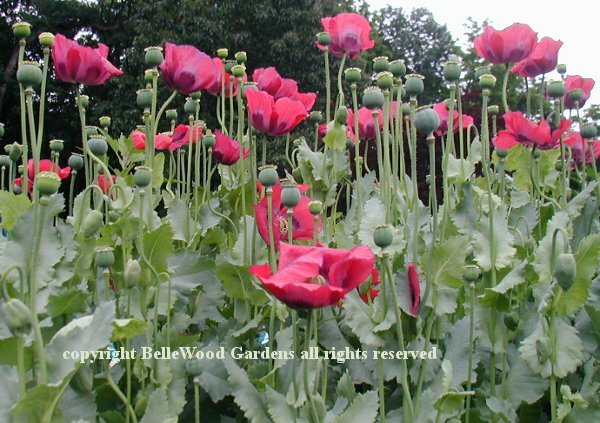 There are oriental poppies, Papaver orientale, a different cultivar in each of the four beds. This is 'Patty's Plum', which, Charles mentions, is a weak grower. the one from which we get seeds with to cook with. 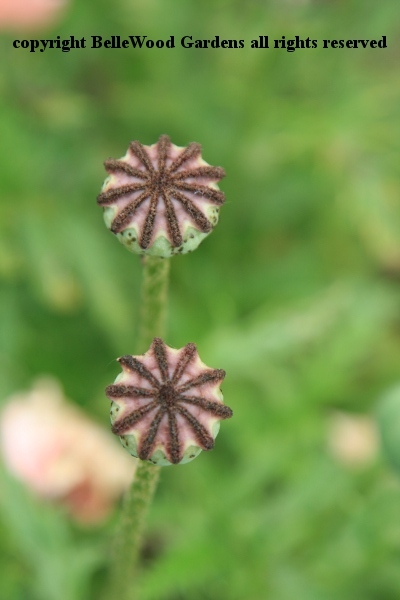 also known as lettuce leaf poppy, sleepytime poppy, opium poppy. Rules and regulations about growing this species in the United States is somewhat ambiguous and confusing, to say the least. I have read that, basically, it is O.K. 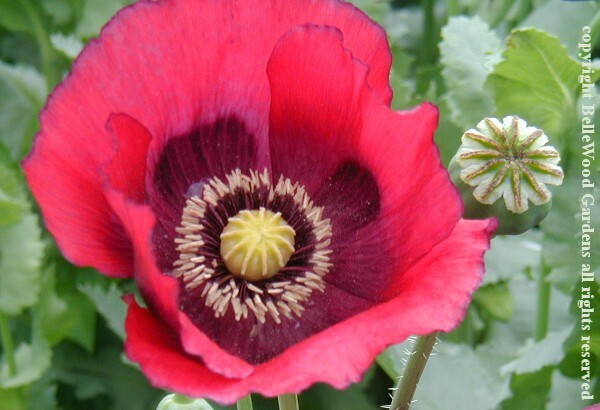 to grow bread seed poppy in the United States if it is for garden and seed production purposes; it is only illegal to manufacture opium from the poppies. 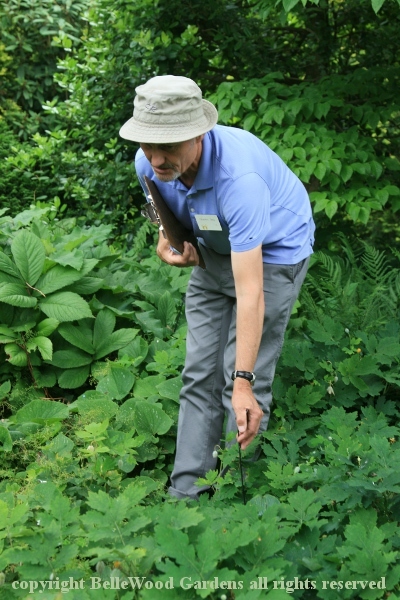 In the Wild Garden, Charles points out a looks-like-a-poppy. 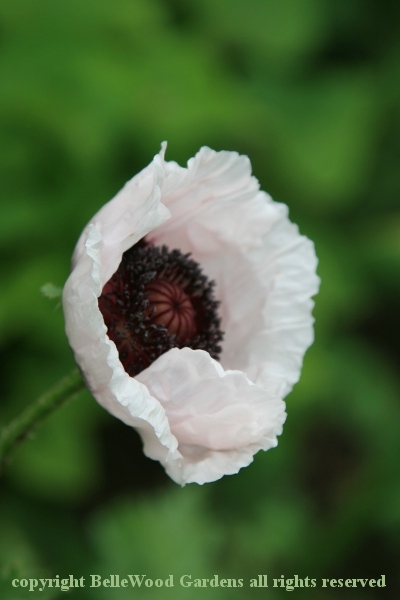 but it is not really a poppy, just sort of a cousin in the family. random places, gardeners scattering its seed as spent pods are cut. into Armor Hall for the cooking presentation. 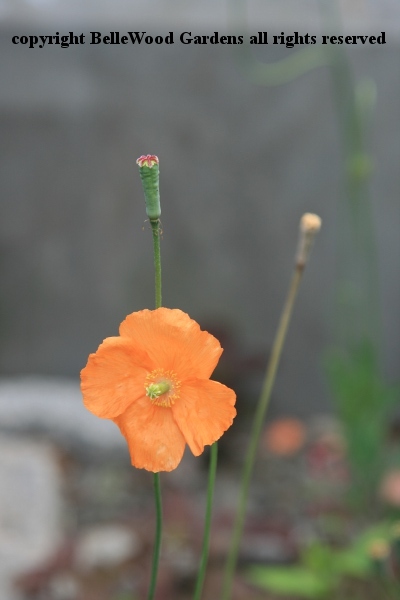 Chef David Heredia who gave the very interesting cooking with cacti and succulents presentation last March will share two poppy seed recipes today. First, a garlic roasted broccoli salad with creamy poppy seed dressing. The dressing combines vanilla Greek yogurt with mayonnaise, lemon juice and red wine vinegar, a little sugar, poppy seeds, salt and vinegar. Quick and easy. Chef David had the demonstration ingredients measured out, casually whipped everything together while explaining what he was doing. 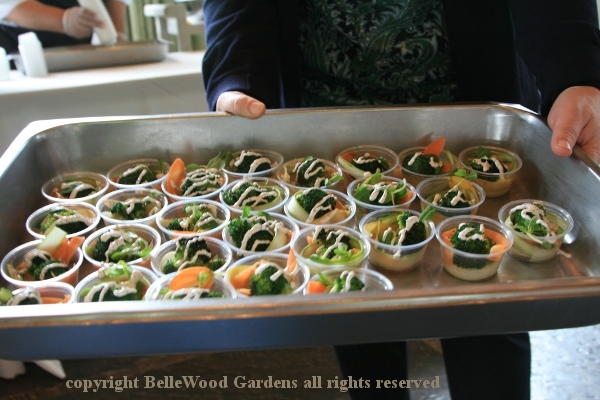 Our samples were served over garlic roasted broccoli florets, shaved carrots and asparagus, and some baby greens. Good thing there were enough samples for seconds. Next was poppy seed lemon cake with lemon icing. Chef David had, again, set everything up, mise en place. Ingredients, yes, but he forgot his mixer. Not a problem. Using a fork he mixed softened butter and sugar until light, then added the eggs, one by one. 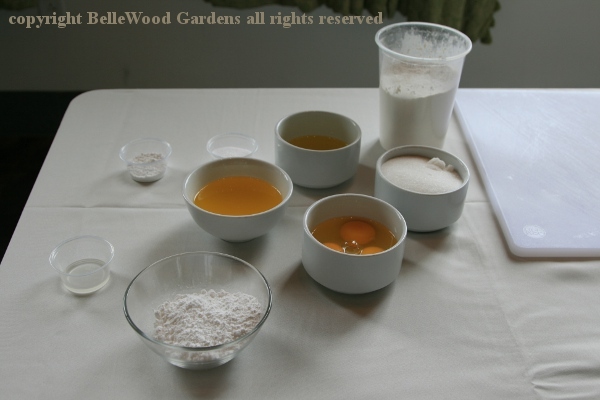 Sift together flour, baking soda, and salt, then add to butter mixture and mix thoroughly. 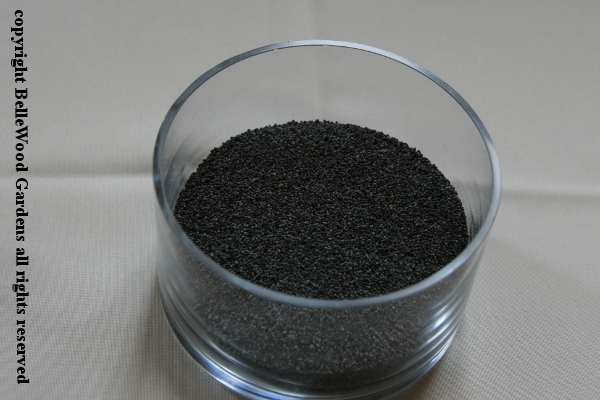 Having previously mixed poppy seeds with lemon juice, lemon zest, and yogurt, mix until just blended with the batter. Then bake. taste scrumptious. Good thing there were, again, enough for seconds! Another interesting thematic day, indoors and out at Wave Hill. Look here for options of other fascinating things to see and do. 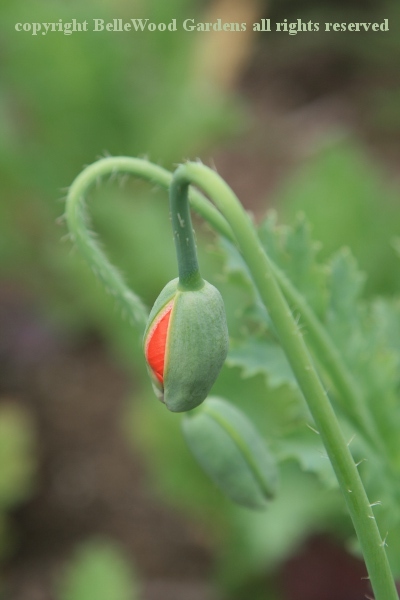 Coming up on Sunday, July 8: scented geraniums - in the garden, using them in the kitchen, and even a workshop for making floral scented geranium soap. Not to mention scented geraniums for sale in the shop.